Our map-holder with swivel coupling for quick turns from horizontal to vertical position. 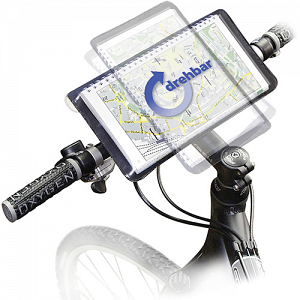 Sturdy transparent rain cover protects maps of up to 24,5x12,5cm from wind and rain. Can be detached within seconds and fixed again securely with a single "click". Easy to mount on stem or handlebar using our Mini-adapter.